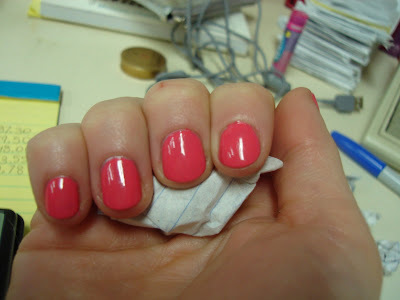 I've tried out two of the new opi south beach colors so far. The first one I'll share with you is paint my moji-toes red. Which is exactly what I did! 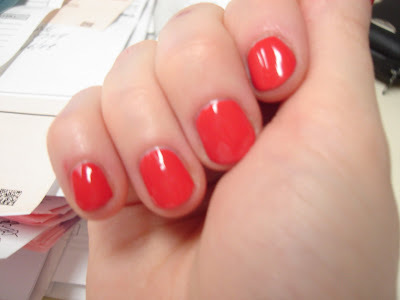 This makes an excellent pedi color, I loved it so much I did my fingers in it too. This is the perfect red color to complement fair skin! The other color I have for you is feelin' hot hot hot. I love the color, but I can't say the same for the application. I had to do three coats of this one to get it opaque and smooth looking, it was a pita! It's redeeming quality is how gorgeous the pink is. I know I may be in the minority here, but I love this collection. 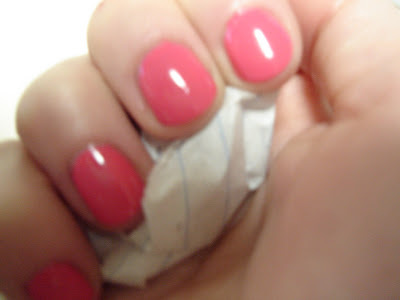 Pinks and reds are my faves, so bring em on opi!